e are very fortunate here in Hawaii. There are many diseases, afflicting millions in tropical and subtropical regions around the world, which pose little immediate risk to us here in the islands. However, Hawaii is uniquely vulnerable to the introduction of invasive species, and some invasive species are vectors for human diseases. A vector is any organism that actively transmits a pathogen from an infected reservoir host animal to another individual. It can be a vertebrate animal (e.g. mice, birds), an insect (e.g. mosquito, cockroach) or another kind of arthropod (e.g. ticks, mites). To contact DOH’s EHSD Vector Branch please call: 808-586-4708. 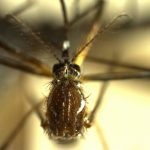 Protecting Hawaii from these diseases is a major undertaking, and the state has recently reached several milestones in mosquito-borne disease prevention and response. With the support of the Hawaii State Legislature, the Hawaii State Department of Health (DOH) has been diligently ramping up its vector control capacity by increasing staff positions on all islands, conducting training on mosquito surveillance and disease response protocols, and ensuring sufficient equipment and supplies are available to effectively respond to potential disease outbreaks from mosquitoes, should it be necessary. While staffing has increased statewide from 25 to 45 positions, the hub of activity has been on Hawaii Island, which now has 15 dedicated vector control staff positions with a range of expertise including inspectors, specialists, and an entomologist. In late June 2017, DOH vector control staff participated in a three-day workshop conference in Kona to evaluate response plans and undergo training on mosquito surveillance and abatement practices. Collaboration with Hawaii Invasive Species Council’s Mamalu Poepoe project to re-examine monitoring and abatement strategies at points-of-entry (i.e., airports, harbors, etc.) to increase the state’s biosecurity related to introductions of new species of disease carrying mosquitoes. Island-wide mosquito surveillance and mapping to identify present species and their prevalence and assess the risk to residents and visitors alike. Special attention is being paid to Aedes aegypti, which is an extremely efficient carrier of Zika, dengue and chikungunya. Ongoing studies to predict mosquito breeding patterns based on rainfall and other environmental and seasonal influences. Practicing, monitoring, and evaluating the effectiveness of abatement strategies conducted in public and residential areas. While vector control has been a crucial focal point, other department-wide efforts to better prepare the state to both prevent and respond to the possibility of mosquito-borne disease outbreaks, especially Zika, are underway and making substantial progress. Drawing on lessons learned from the 2015–16 dengue outbreak, which was focused on Hawaii Island and sickened 264 people, DOH collaborated with local, state, and federal partners to develop the Joint Hawaii Mosquito-borne Disease Outbreak Emergency Operations Plan so that the state may be better prepared to respond to an outbreak, especially with the threat of Zika growing in regions worldwide. The plan provides essential and evidence-based guidance to state and county emergency management agencies prior to, during, and immediately after a mosquito-borne disease outbreak. Hawaii’s plan is closely aligned with the federal Centers for Disease Control and Prevention (CDC) plan guidance and further tailored for Hawaii’s unique situation. DOH has hosted a series of tabletop exercises to collect feedback from partners and stakeholders. DOH’s Disease Outbreak Control Division (DOCD) has added three staff members to enhance the efficiency of disease surveillance and investigation. Additional staff have improved collaboration between investigators and epidemiologists with partners, such as the State Laboratories Division and the Environmental Health Services Division, which houses the Vector Control Branch. Enhanced integration and coordination among these areas will ensure streamlined processes during emergency outbreak situations. The DOH State Laboratories Division (SLD) in Pearl City is one of a handful public health laboratories in the nation with the capacity to test for dengue, Zika and chikungunya viruses. This capacity allows our state to quickly turn around testing results for mosquito-borne diseases in the Pacific. In response to the most recent outbreak, SLD developed and refined its IgM testing (analysis of early antibodies in blood samples) capacity to address rising concerns about Zika infection. SLD is in the process of establishing plaque reduction neutralization testing (PRNT), a more complex antibody testing process, for dengue and Zika. This will allow the state to better define cross reactive samples, which currently must be sent to CDC, and thus reduce the time to resolve final results. DOH’s Hawaii Birth Defects Program (HBDP) and DOCD have been working together to monitor mothers potentially affected by Zika since January 2016. Since Zika can be passed from a pregnant mother to her baby before or during birth, it is critical to collect data regarding them and their babies through their clinicians. Data are then contributed to the national Zika birth registry with the hope of better understanding congenital Zika infection, including its scope, risk, and incidence. Public education efforts have been driven by the Fight the Bite program, a statewide campaign that urges Hawaii to collectively prevent, prepare and protect against mosquito-borne diseases. A wide range of educational materials are available to arm the public with knowledge about these diseases and how they can take proactive measures in their communities. In addition to being made available online at www.fightthebitehawaii.com, DOH is working with health centers and clinics statewide to ensure providers are properly trained on how to use and distribute materials to their patients/clients. DOH conducted for Hawaii’s clinicians the first ever statewide public health grand rounds webinar, which focused on the clinical management of Zika infection. For more information about mosquito-borne diseases, visit http://health.hawaii.gov/docd/disease-types/mosquito-transmitted/. To access Fight the Bite educational materials, including print, video, and audio-based resources, visit www.fightthebitehawaii.com.